Sci-Fi Gothic or Gothic science fiction, also known as space goth, is a sub-genre of science fiction. It focuses on stories about horror, death, and at times romance. It tries to illustrate the dark atmosphere of Gothic fiction with elements of science fiction. 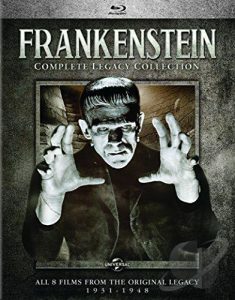 They continue to inspire countless remakes and adaptations that strengthen the legend of Frankenstein to this day. 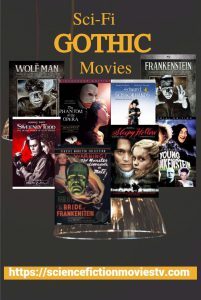 Includes the features Frankenstein (1931), The Bride of Frankenstein (1935), , Son of Frankenstein (1939) , The Ghost of Frankenstein (1942), Frankenstein Meets the Wolf Man (1943), House of Frankenstein (1944), House of Dracula (1945) and Abbott and Costello Meet Frankenstein (1948). The original Wolf Man is one of the silver screen’s most unforgettable characters and, along with the other Universal Classic Monsters, defined the Hollywood horror genre. 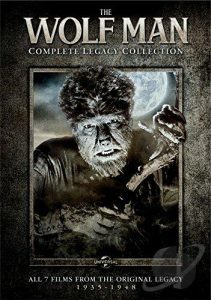 The Wolf Man Complete Legacy Collection includes Wolfman (1941), rankenstein Meets the Wolf Man (1943), House of Frankenstein (1944), House of Dracula (1945), Abbott and Costello Meet Frankenstein (1948), Werewolf in London (1935) and She-Wolf in London (1946) . These landmark motion pictures defined the iconic look of the tragic monster and continue to inspire countless remakes and adaptations that strengthen the legend of the Wolf Man to this day. 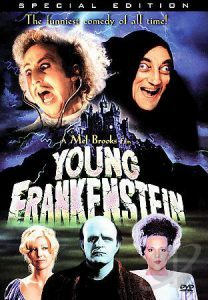 The characters in the story include the reluctant scientist Frederick Frankenstein (Gene Wilder), who is actually the grandson of the infamous creature-creator , his spoiled fiancée (Madeline Kahn), Igor the pop-eyed hunchback (Marty Feldman), his dizzy assistant (Teri Garr), the castle’s hideous head housekeeper (Cloris Leachman), and, of course, the Monster (Peter Boyle). Highlights include the sets, which are the original ones used in the Whale films; the beautiful black-and-white cinematography; and the fine screenplay. Combining noirish elegance with uproarious sight gags and double entendres is a feat Brooks pulls off fabulously, directing the wonderful ensemble to act with sensitivity and humanistic feelings as well as with lunatic abandon. A suburban fairy tale with incredibly imaginative sets, an Avon lady, Peg Boggs (Dianne Wiest), discovers the half-finished experiment, a man/monster named Edward (played by Johnny Depp), of a mad scientist (Vincent Price) living in the neighborhood’s old abandoned castle. The scientist died before replacing the shy man’s large shears with real hands. 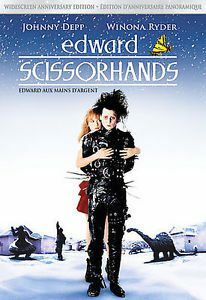 When Peg attempts to bring Edward into her suburban world, to live among her skeptical family (husband Alan Arkin and daughter Winona Ryder) and gossipy neighbors, his hands, dangerous yet capable of creating things of great beauty, make for some awkward, funny, and poignant situations. Its a story about tolerance, difference, and creativity as much as it is a story of a young man’s coming of age (the young man in question is, of course, a monster). In the ironically surreal world of Edward’s suburban community, he must try to find his place in it, and in the world at large. Ichabod Crane (Johnny Depp) is a squeamish, bookish 18th century New York City investigator sent to a small town in lower Westchester county to look into three mysterious decapitations. 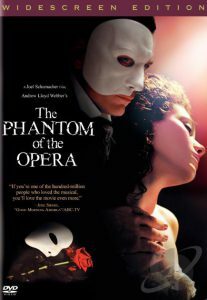 When the always rational Crane arrives at the little Dutch village, he finds that most of the townsfolk believe the culprit to be the Headless Horseman, the ghost of a monstrous Hessian soldier (Christopher Walken), who seems to be mysteriously tied into one of the town’s most prominent families. A young woman and her two children reside in a mansion in England, waiting for their husband and father to return from the war. The eerie house is kept dark because of the children’s deathly sensitivity to light. When a mysterious wait-staff is employed by the mother, strange things begin to occur in the house. 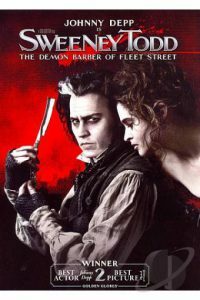 Johnny Depp stars as Benjamin Barker aka Sweeney Todd, a barber falsely imprisoned by Judge Turpin (Alan Rickman). After leaving prison, he comes back to Victorian London to find his wife poisoned and his daughter held captive. As he plots his revenge, Sweeney joins forces with Mrs. Lovett (Helena Bonham Carter), and while he preys on clients asking for a shave, his new partner turns the bodies into baked goods. But the judge still lives, and the razor-wielding madman wants his vengeance. 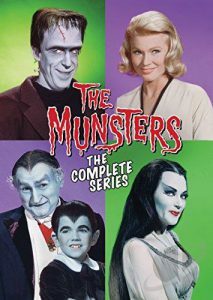 Have a howlingly good time with the First Family of Fright in this collectible Complete Series that includes all 70 classic TV episodes and the two frighteningly funny feature-length movies: MUNSTER, GO HOME! and The Munster’s Revenge. Reunite with the wonderfully weird Munster Clan: “working stiff” Herman, mom Lily, wacky Grandpa, the unusually normal Marilyn, and little Eddie. Plus, now see the episode “Family Portrait” in spookily spectacular full color for the first time ever. With so much Munster mayhem, your whole family is sure to have a scream. This compilation of spooky episodes is culled from the original 1960s television series. This mammoth collection includes nine volumes of episodes featuring the silly, spooky band of ghouls. 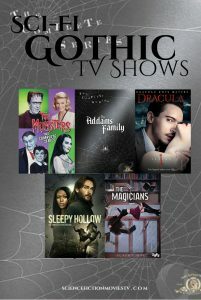 Nine discs contain the entire series about Gomez, Morticia, and their oddball family Addams. 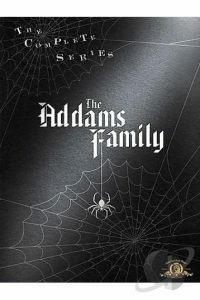 Bonuses: commentaries, featurettes, karaoke version of theme song, stills galleries, trivia Addams Family – The Complete Series film. Centuries after the Order of the Dragon cursed him with immortality and murdered his wife, Dracula (Jonathan Rhys Meyers) arrives in Victorian London to wreak his revenge. 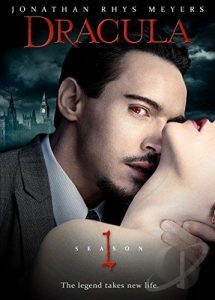 Dracula: Season 1 video Posing as an American industrialist who intends to bring modern science to England, Dracula sets out to destroy the sect, only to fall in love with a woman (Jessica De Gouw) who strongly resembles his dead wife, an obsession that threatens to thwart all his plan. 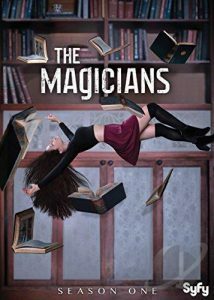 A small group of twentysomethings studying magic in New York discover a real-life fantasy world that poses an enormous threat to humanity in this drama adapted from the book series by Lev Grossman. I didn’t know that there was such a genre – gothic sci fi. That’s a pretty interesting sub-genre. It appears that I have watched some of the movies you mention. I think Pan’s labyrinth is my favorite one. I was also impressed by Sleepy Hollow with Johnny Depp as I am a ‘Jack the ripper’ buff. 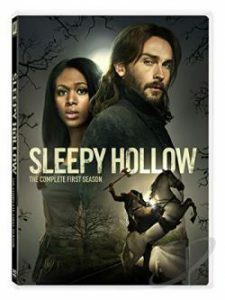 Sleepy Hollow was indeed a good movie. 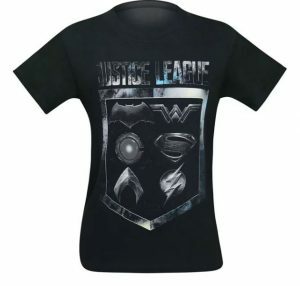 You should check the TV show. It’s ok. Everyone has its preference. 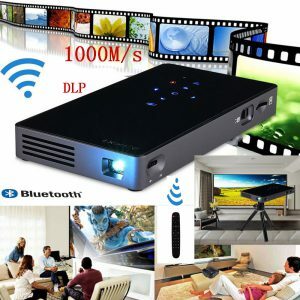 But not even the Alfred Hitchcock movies?